This is a Final Fantasy 12: The Zodiac Age (FFXII: TZA) Strategy Guide for the HD-remastered role-playing game by Square Enix. Three Medallions Sidequest Great Cockatrice Escape Gone Fishin’! 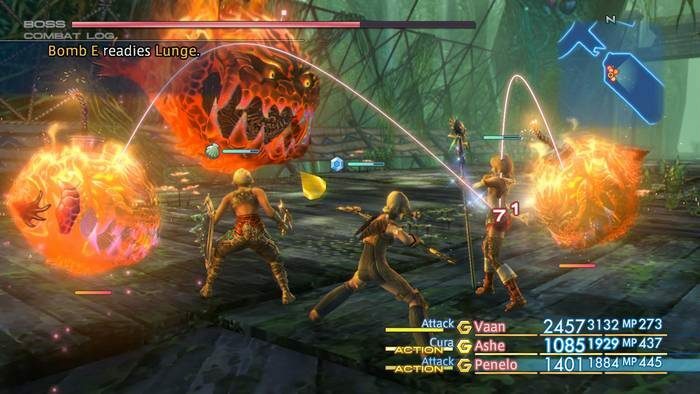 Final Fantasy 12: The Zodiac Age is a fantasy role-playing game developed and published by Square Enix. The game was originally released on the Playstation 2 on March 16, 2006. Final Fantasy 12 takes place in a mysterious land called Ivalice, and introduces an interesting storyline and cast of characters. Among the most notable features of the game is its unique Gambit System for combat. Also notable is the intricate License Board used for learning character skills and abilities. On August 9, 2007, an international version of the game called Final Fantasy 12 International Zodiac Job System was released in Japan. This version featured a Job System typical of the more traditional titles in the franchise with 12 unique classes available. New games modes such as New Game+, New Game-, and Trial Mode were also introduced, each having mechanics to add variety to the gameplay experience. Final Fantasy 12: Revenant Wings, a sequel that continues the events of the first game, was released on the Nintendo DS on November 20, 2007. Final Fantasy 12: The Zodiac Age will be a high-definition remaster of the International Zodiac Job System release and is scheduled for release on the Playstation 4 in July 2017. This version will include improved technical performance along with trophy support and a newly-arranged soundtrack. Ahead of Square Enix’s remaster of Final Fantasy 12 for the PlayStation 4, the company released a trailer showcasing the unique Gambit System which will still be employed in combat.